Your business name is something unique that helps set your products and services apart from the competition. However, unique business names are not always easy to come up with. In most cases, a business owner has spent a great deal of time choosing the right name for their business, and large amounts of money have been invested into branding this name. The last thing you want is for it to be stolen out from under your feet. So, how do you protect it? The first step in protecting your business name involves ensuring that your business is registered in accordance to the law. When you register a business name, make sure to note the date of initial use, as it’s more essential than the date of registration. The date of initial use gives the owner exclusive rights over the business name. Registration of a business name is mainly done by the registrar of companies. To start the registration process the business owner is requested to propose his or her preferred business. The registrar then performs a business name search to ascertain whether there are businesses with similar or identical business names. If no other matching business name is found the register gives rights to the business owner to use the name. The next step requires the business owner to identify their intellectual property rights. This limits the use of the owner’s original idea by others for exploitation or personal gain. Intellectual property rights are granted in the form of patents or trademarks. This helps in encouraging future innovation and investments. Businesses that violate the intellectual property law are liable for prosecution by the other business. The third step involves keeping business records safe and stored in a systematic manner. Business documents should be easy to locate and access when required. The documents will act as a proof of ownership in case of a dispute. Following these steps will help you to protect your business name. At Gutglass, Erickson, Bonville & Larson, we understand the challenges of dealing with legal issues for your business and we are here to help. Give us a call and we will be happy to answer all your questions. Call us today at (414) 273-1144. Professional practice requires relevant accreditation or board certification, and legal practice is not devoid of these approvals. Currently, it is a requirement that before a lawyer is allowed to practice he or she must be licensed by the relevant authority. Aside from the federal or government oversight bodies, there are independent institutions, such as the National Board of Trial Advocacy, that certifies lawyers. Avail all the relevant documentation ranging from academic to professional to government clearance certificates. Provide references from reputable practicing peers who are certified by the board and in good standing. Sit through board certification exams. Appear before the board certification committee. After approval the member must abide by the National Board of Legal Specialty Certification (NBLSC) rules and at all time engage the board indulgence while practicing. The certified lawyer is closely monitored by the standards committee to ensure he or she upholds professionalism at all times. The board certification offers immense benefits to both the practicing lawyers and their prospective clients. There have been upsurges of rogue lawyers who offer substandard services or defraud their clients – most commonly for legal compensation lawsuits. To ensure that you work with the right attorney who will ensure your interests are taken care of and served professionally, it is a wise to engage lawyers who hold board certification credentials. Also, it is worth noting that the board has systems in place to receive complaints, settle disputes and discipline members who do not adhere to the required practicing etiquette. Since most of the certified lawyers regard accreditation from such institutions like the National Board of Trial Advocacy in esteem, they will always try to comply with the set standards. The board has ensured the members are continually educated and equipped with the latest developments in legal practice across the board. The certified attorney must sit various continuous assessment exams geared to make sure that the legal experts sharpen their skills. Consequently, their clients can be assured of competent and high quality legal services. It is vital to grasp that the certificates are renewed after every five years and are only issued after an in-depth valuation of the lawyers conduct over the expired duration. Going by testimonies of various persons it is a fact that you will draw immense benefits from a certified attorney. At Gutglass, Erickson, Bonville & Larson, we understand the challenges of dealing with legal issues and we are here to help. Give us a call and we will be happy to answer all your questions. Call us today at (414) 273-1144. 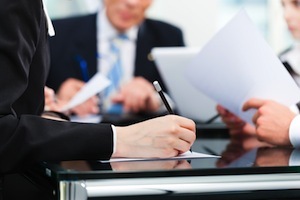 What Type of Business Lawsuits Can We Help With? As business lawyers, the professionals at Gutglass, Erickson, Bonville and Larson Law Firm are trained to handle a variety of legal concerns for your business, no matter your field. From setting up a corporate entity and developing employee contracts to filing taxes and diving into franchising, there are a number of scenarios where hiring business lawyers makes sense. When you face an unexpected business lawsuit, our business lawyers can fight the legal battle to come. Whether you are the plaintiff or the defendant in the case, our business lawyers have the experience and expertise to win your case. 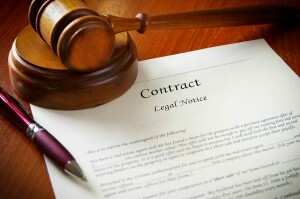 What Kind of Lawsuits Do Our Business Lawyers Handle? When a current or former employee, contractor, or consultant uses your confidential or proprietary information without your direct authorization, your business lawyers will help you bring suit against them to collect damages. Proprietary information can include a product, software, coding, client lists, a business model, pricing, graphic designs, budgets, techniques, marketing strategies, and more. When your employees, contractors, and consultants sign a Non-Disclosure or Proprietary Information Agreement, they are legally stating they will not share this information with any other person or business. If you discover that a current or former employee has broken a non-disclosure or proprietary information agreement, contact our business lawyers to discuss your case. As business lawyers, we can not only help you draw up non-compete agreements, but we can also enforce these agreements when current or former employees attempt to evade them. If you employee goes to work for a competitor and voids the terms of your non-compete, our business lawyers can expertly handle the case. On the other hand, if you are a former employee of a business attempting to claim that you broke an invalid non-compete agreement, the business lawyers at our firm can work with you to establish the non-compete as void and secure your new position. If a current or former employee sues your business or lodges a discrimination complaint with the Wisconsin Equal Employment Opportunity Commission (EEOC) or ERD (Division of Equal Rights), our business lawyers will work on your behalf to clear your name. As business lawyers we understand that charges of discrimination are serious and harmful to your business’ reputation, and we will work against anyone who attempts to use these legal protections improperly to damage your business. And if you feel that your rights have been violated in the workplace, our business lawyers can also help you lodge the necessary complaints and pursue legal actions against your current or former employer. When one party fails to uphold a written or oral business agreement, breach of contract has occurred and legal action may be pursued by your business lawyers. If you are accused of breach of contract by a current or former client, customer, employer, or employee, our business lawyers can handle your case. Likewise, if you feel that someone has breached a contract you held with them, our business lawyers can help mount your case against them. Our business lawyers can handle lawsuits you bring against investment consultants for breach of fiduciary duty. If you feel that a consultant knowingly committed fraud or misrepresentation and violated Deceptive Trade Practices Act, contact our business lawyers to discuss your course of action. We can also help you if a current or former client claims that you breached your fiduciary duty. 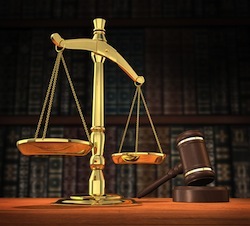 The business lawyers at our firm are well-versed in libel and defamation cases. If your business is under attack from current or former clients, customers, competitors, peers, or the Department of Regulation and Licensing, or other organizations, our business lawyers can defend your credentials and seek financial damages in a court of law. The business lawyers at Gutglass, Erickson, Bonville & Larson S.C. are widely known throughout Wisconsin for our expert handling of business lawsuits. We’ve achieved rare victories — such as judicial reversal of a Decision and Order of the Medical Examining Board against a physician — and secured substantial financial damages for an employer whose workers conspired to steal proprietary information. The legal expertise of our business lawyers ensures the successful, economical handling of your case, no matter the scenario. Contact our business lawyers today at (414) 273-1144 or use our web submission form to request more information on our services.